Houses and apartments near IU? We have houses and apartments on all corners of the IU Bloomington campus! Are you an Indiana University student, visiting faculty, or someone else who would like to find an apartment near IU and all the Indiana University events and action? We have apartments near IU. 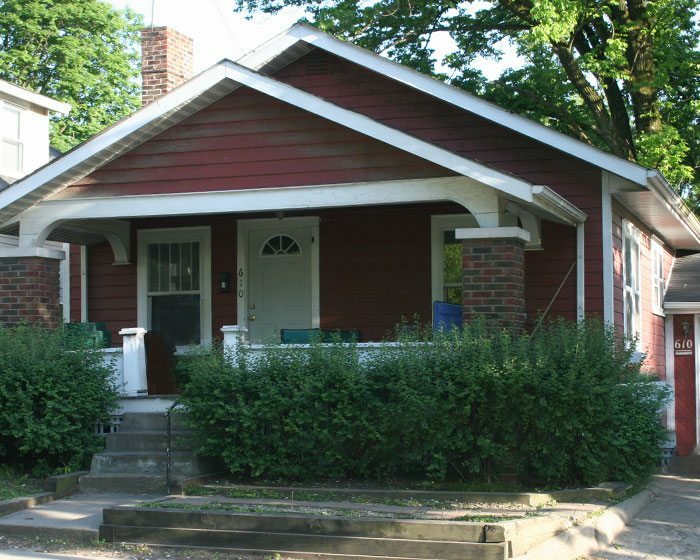 We also have houses for rent on every side of the Indiana University campus. Where would you like to live? Westside of IU. Dunn Meadow. The Union. The WIC. Would you like to be on the Westside of IU campus? We have dozens of options located on the west and northwest side of IU campus. How about located in the heart of campus, inside the 10th Street x Indiana Ave perimeter? 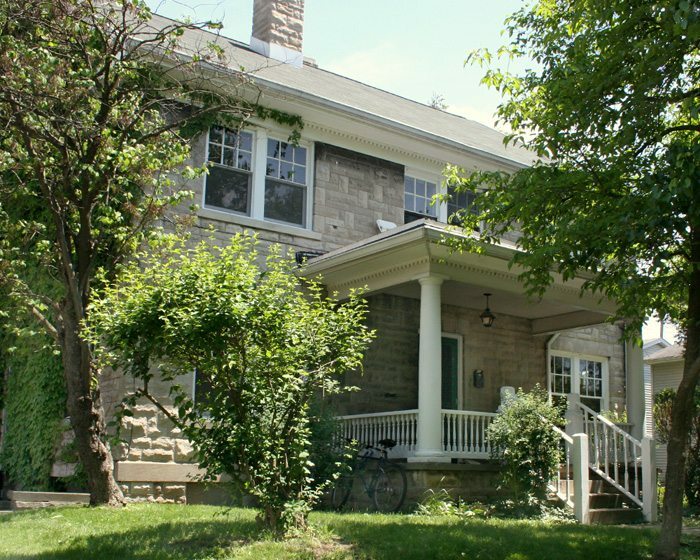 422 N. Fess is a 4 bedroom duplex located in a single very large limestone home. 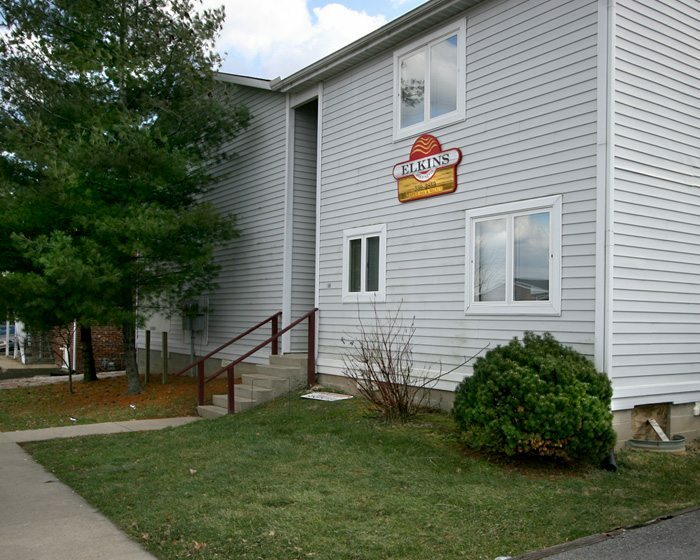 Located just north of Dunn Meadow (and just west of Woodlawn Field), 422 N. Fess is not only near IU but, being on the westside of campus, it is near to all the downtown action as well. Memorial Union, the Indiana University classroom buildings, Sample Gates, and all the restaurants, bars, and shops (we are partial to Buffalouis’ for wings, or perhaps a breakfast hangover cure at the Village Deli) are at your doorstep here, or at one of our other close by properties and apartments near IU, especially the other one’s located on the westside of campus. We have more than 10 houses and apartments near IU on the southwest corner. Do you want to be near the IU School of Law? Perhaps the School of Optometry? Or any of the schools and classrooms along 3rd street or Indiana Avenue? We have lots of great options! 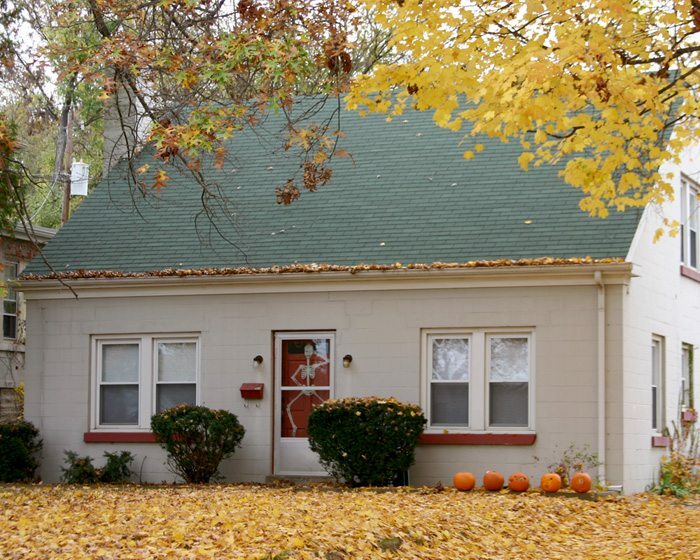 How about a 4 bedroom, 2 bath house located across the street from the IU Atwater parking garage? That’s 610 Atwater, and if you are driving west to east across campus, you can’t miss this house, and IU does all the nice landscaping at the corner of Indiana and Atwater, right before you reach your place. How’s that for near IU? Plus, you are a short walk to the new Bloomingfood’s if you head a little south for local and organic groceries or go a block north and you have Chow Bar, Penn Station Subs, Qdoba, and of course too local restaurants you have to try: Dagwood’s, for some of the best sandwiches in town, and BuffaLouie’s for wings and things. We have many other houses and apartments near IU on the southwest side. Check them out! Southeast IU. School of Music. School of Education. Much more. Want a house or apartment near IU on the southeast side? On the southeast alone, we have several incredibly close options. They are all inside of Atwater, which is pretty much as close as you can get to the southside of the Indiana University campus without living in a dorm! One option is a very cute 4 bedroom house located at 317 S. Mitchell. If you have driven Atwater across campus (and if you have lived here, and driven, or ridden a bike, west to east across campus, you have to have been on Atwater), you have seen this house. When you take a sharp 90 degree turn north to reconnect with 3rd street, that’s South Mitchell Street, and this house is right in front of you! Yes, that means you can see many of the 3rd street IU buildings from your doorstep. From here, the can’t miss places to eat and drink are Mother Bear’s Pizza, Soma for coffee and other excellent snacks, and Dragon Express, which offers really great Chinese (but bring cash or check, because they don’t take credit cards!). Northwest IU. Memorial Stadium. Assembly Hall. Armstrong Stadium. Are you an IU athlete or someone who loves to follow the Hoosiers? We have houses and apartments near IU on the northwest side. These are located near practically all the IU athletic facilities (sorry, rowing, we don’t have anything quite that close to Lake Lemon!). Looking for something closer to the stadiums? Bart Kaufman field? Armstrong Stadium? We have you covered. For example 308 E. 20th is just west of Memorial Stadium. Step into the street, turn east, yep, that’s the stadium right there in front of you. Hungry? The Convenient Food Mart is located at Dunn and 17th, with all the necessities, including beer and sundries. Oh, and if you like bacon, try the BLT with 3 slices of white bread. Oh, yummy. Not good for you, of course, so maybe a run around the athletic fields will be needed, but, oh, yummy. We have a lot of other units in this area, mostly further south and even closer to the center of campus, so check them out and let us know how we can help you. If you aren’t sure what type of Bloomington rental you prefer, we have a couple of articles to help you decide whether a house for rent close to Indiana University is your vibe, or whether an apartment near IU is more your style. Because regardless of whether you choose to live in one of our nice, conveniently located, apartments and homes near IU, we want to help you make the best decision for yourself. Everywhere else in Bloomington (And Beyond)! And we have other locations throughout Bloomington. Wherever you want to be, we can help you find the perfect home or apartment near IU or all around Bloomington. Hey, even a vacation home in Gulf Shores, Alabama!